PIN/PENDANT - SARAH COVENTRY. "AMBER PETAL" FROM 1982. 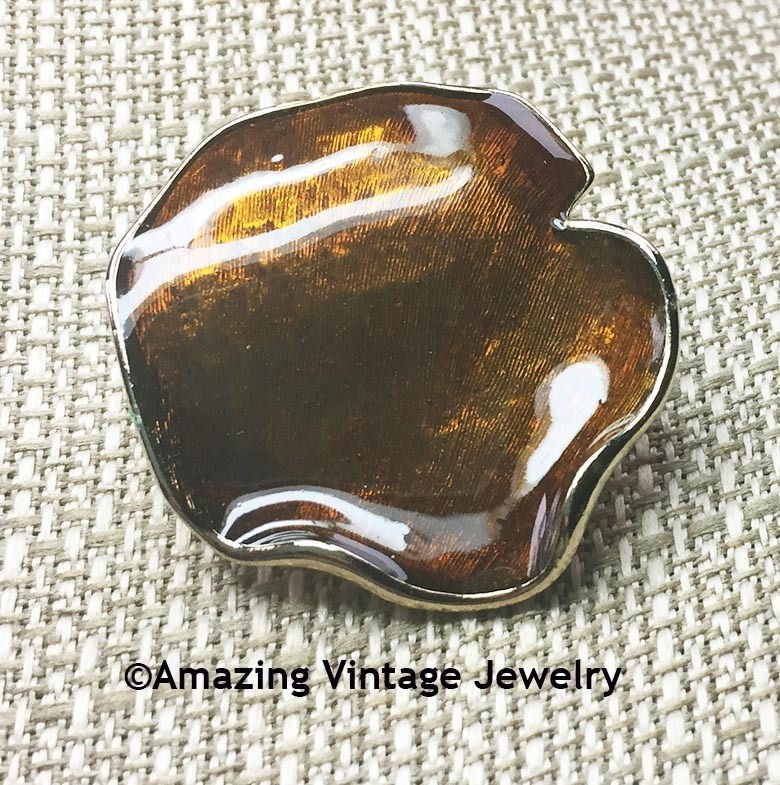 ABSTRACT LOOK 3-D GOLDTONE PIN WITH AMBER CENTER. CAN BE WORN AS A PIN, OR ADD A CHAIN TO THE PENDANT HOOK ON BACK TO MAKE A NECKLACE. ABOUT 1 5/8" IN DIAMETER. VERY GOOD CONDITION.